Genes involved in Amyloid pathway.Gene expression changes (RNA-seq) impacted by Alzheimer-like disease in Microcebus murinus. 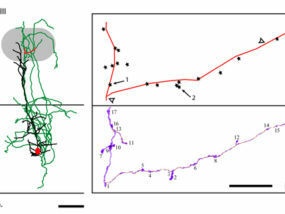 Up-regulated genes are in green, down-regulated genes are in red. 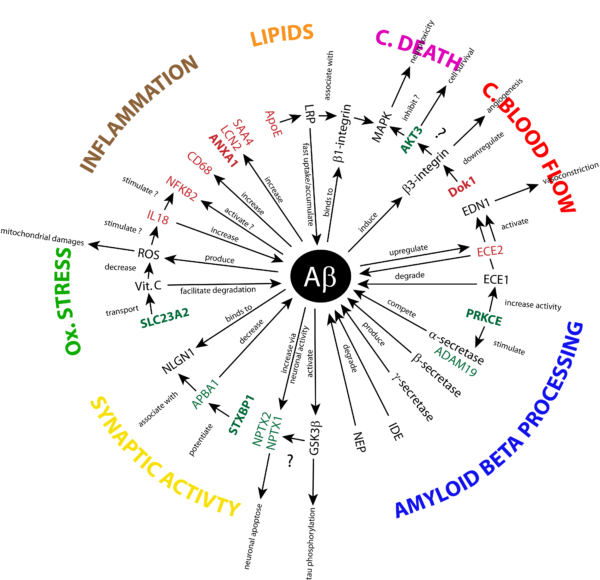 Arrows indicate interactions between proteins. EM synapse reconstructionElecton-microscopy and 3D reconstruction of a pyramidal cell's synapse from the somatosensorial cortex of a mouse. 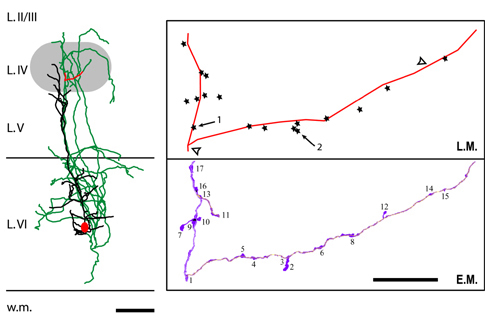 Published in Pichon et al., 2012. 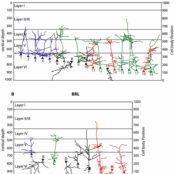 Eur J Neurosci. Mar;35(6):855-69. KMT2C gene mustations in Human's chromosome 7.Mapping of the mutations counts along with the chromosome 7 and zoom in the region of interest showing the gene KMT2C. 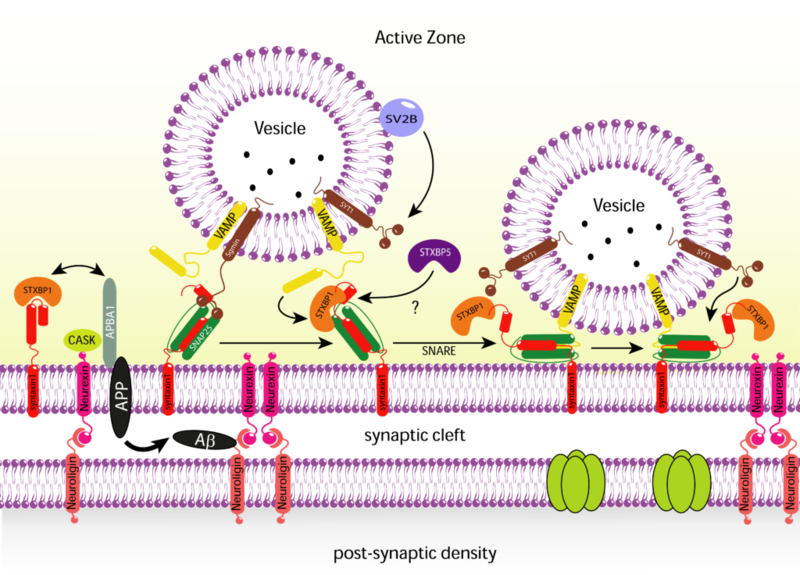 SynpaseNeuron to neuron action potential in cortical layers. Amyloid and APP in exocytosis.Scheme showing the interaction of Amyloid and APP with SNARE complex during the exocytosis. 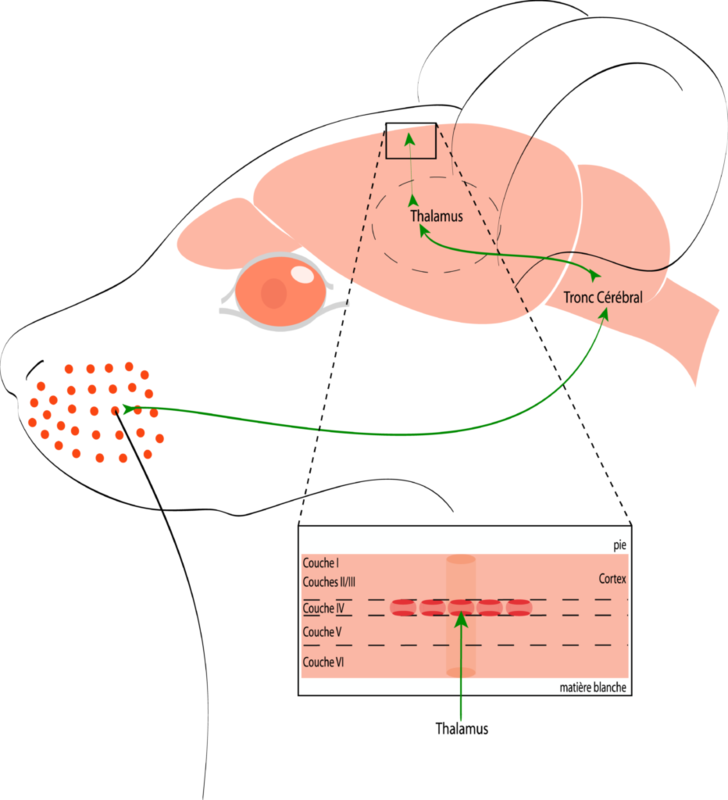 The whisker-to-barrel pathwayThe information pathway from the whisker on the snout to the somatosensorial cortex of the mouse. 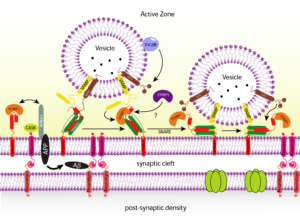 Neuronal activity in the hub of extrasynaptic Schwann cell-axon interactions.The integrity and function of neurons depend on their continuous interactions with glial cells. 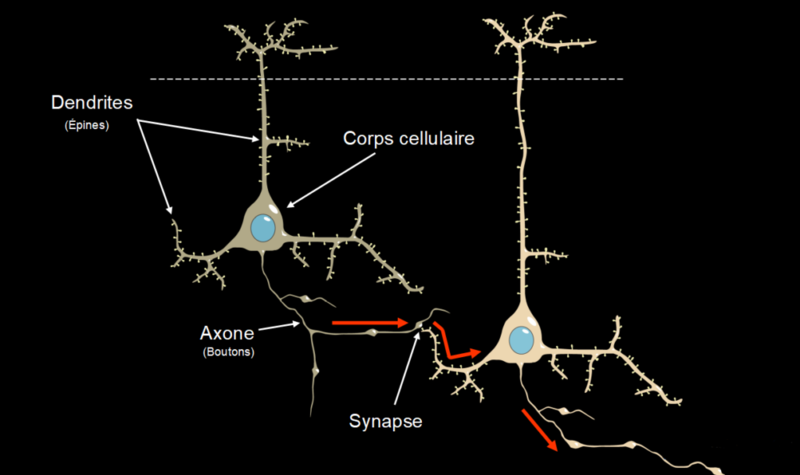 In the peripheral nervous system glial functions are exerted by Schwann cells (SCs). 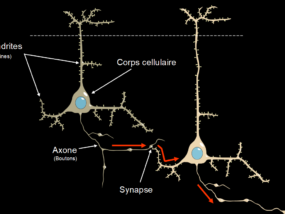 SCs sense synaptic and extrasynaptic manifestations of action potential propagation and adapt their physiology to support neuronal activity. 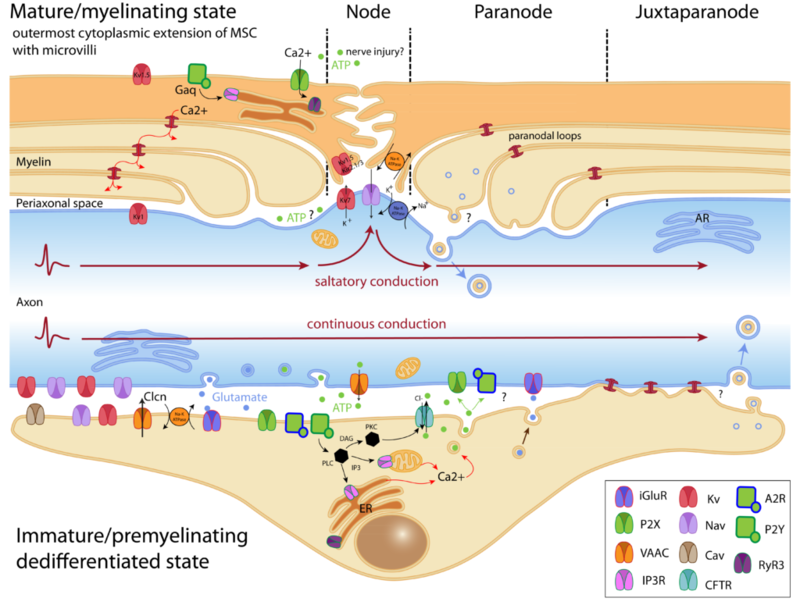 We review here existing literature data on extrasynaptic bidirectional axon-SC communication, focusing particularly on neuronal activity implications. 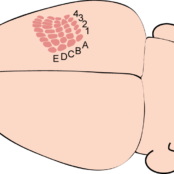 To shed light on underlying mechanisms, we conduct a thorough analysis of microarray data from SC-rich mouse sciatic nerve at different developmental stages and in neuropathic models. 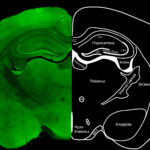 We identify molecules that are potentially involved in SC detection of neuronal activity signals inducing subsequent glial responses. 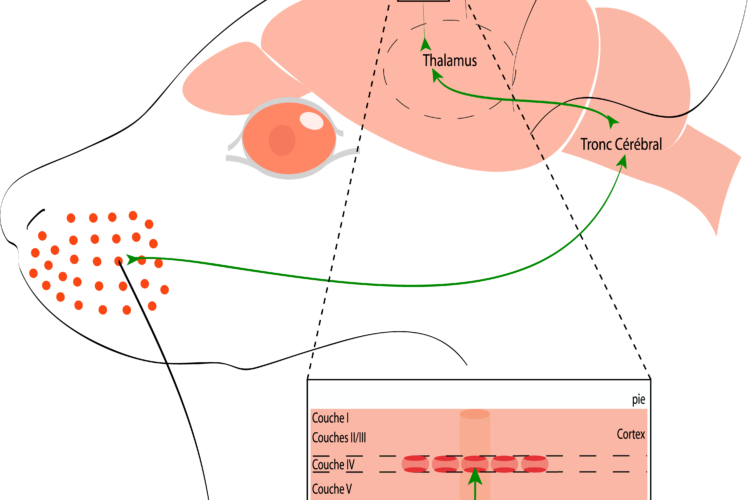 We further suggest that alterations in the activity-dependent axon-SC crosstalk impact on peripheral neuropathies. 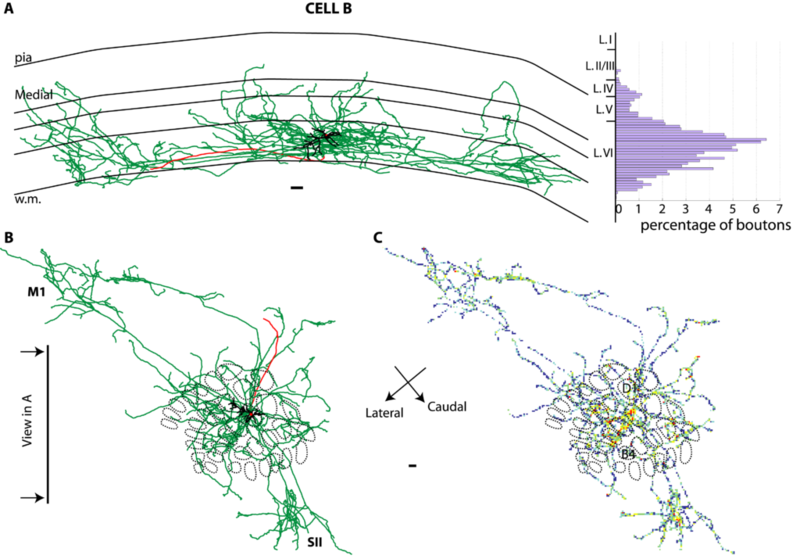 Together with previously reported data, these observations open new perspectives for deciphering glial mechanisms of neuronal function support. Published in Samara et a.l, 2013. Front Cell Neurosci. Nov 25;7:228. 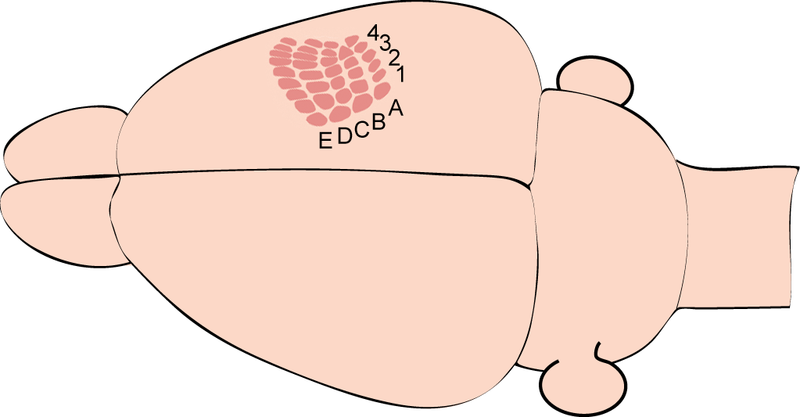 The somatotopy in the barrel cortex of mice.The barrels in the somatosensory cortex represent the exactly same pattern as whiskers on the mouse's snout. This is called somatotopy, also known in human as Homonculus. 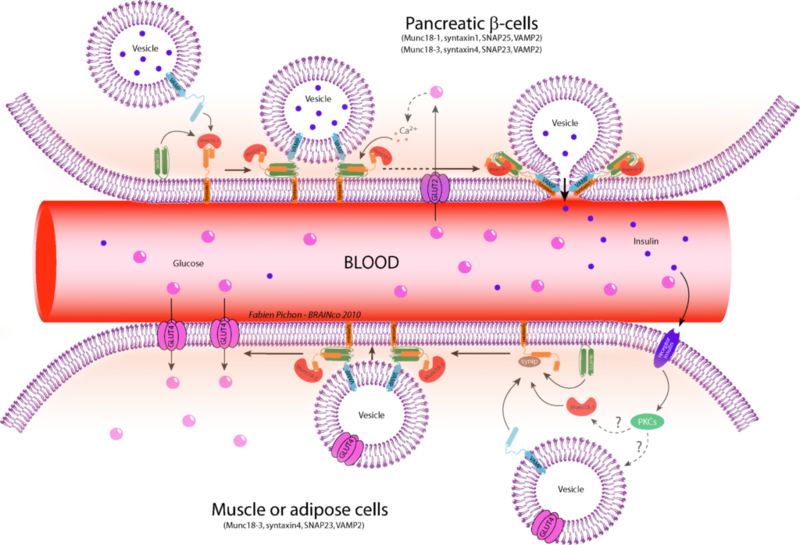 Scheme representing exocytosis in insulin pathway.SNARE complex involvement in Insulin exocytosis in blood vessels. 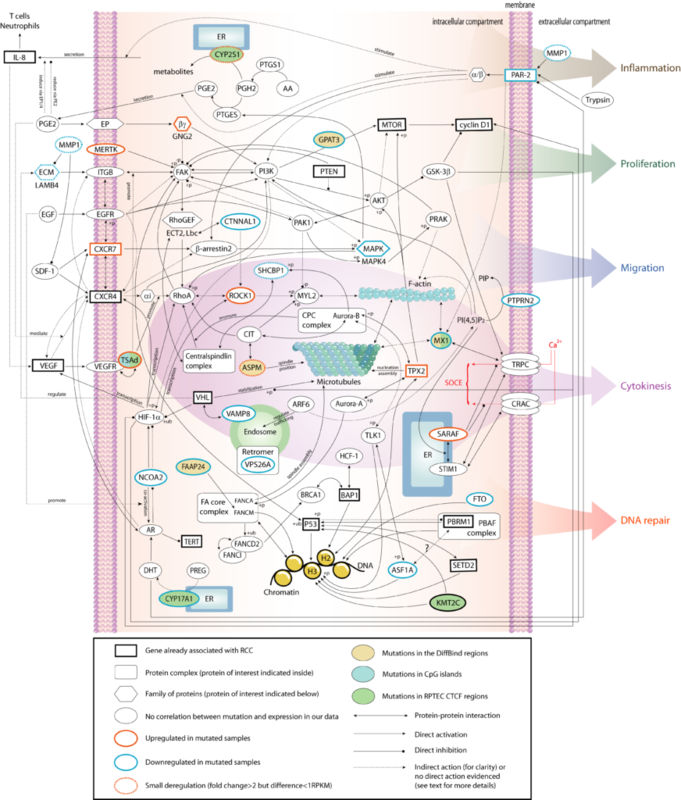 Protein networks involved in clear cell renal cell carcinoma (ccRCC) .Complex summary of the different proteins interactions and pathways involved in ccRCC. Proteins whose genes are down-regulated are in blue whereas proteins whose genes are up-regulated are in red. 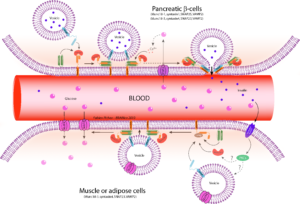 Arrows indicate protein-protein interactions. 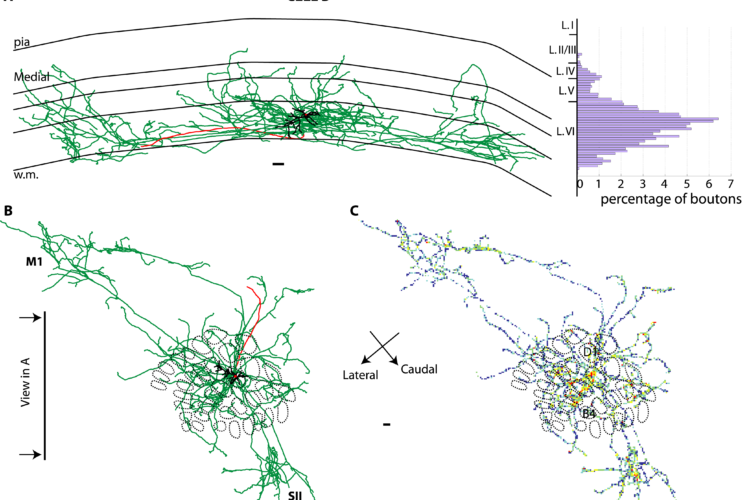 3D reconstruction of a cortico-cortical pyramidal cell in the barrel cortex of mouse.Different projections of a cortico-cortical pyramidal cell in the barrel cortex of a mouse and localization and quantification of its synapses (boutons, Matlab analysis). 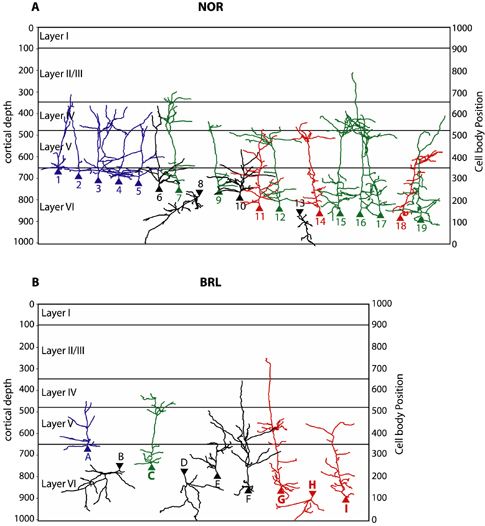 Cortical pyramidal cells classified in 4 groups.Summary of reconstructed cortical pyramidal cells according to groups (intra-cortical and cortico-cortical cells) and deepness of the cellbody, in norma mice (top) and barrelless mice (bottom). 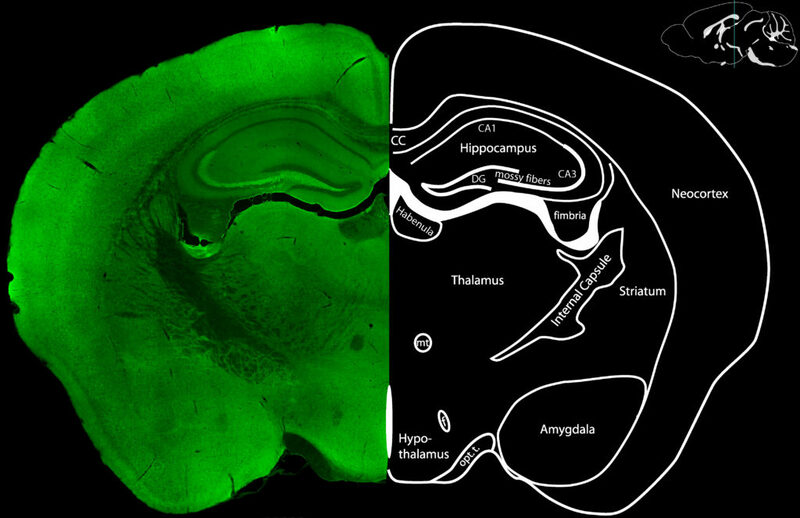 Transversal view of the parietal cortex of mouse.High definition immunohistochemestry picture (confocal microscopy) aside with the atlas of the most important cerebral zones.Antibody's fluorescence is particularly visible in the hippocampus, notably in mossy fibers and dentate gyrus. 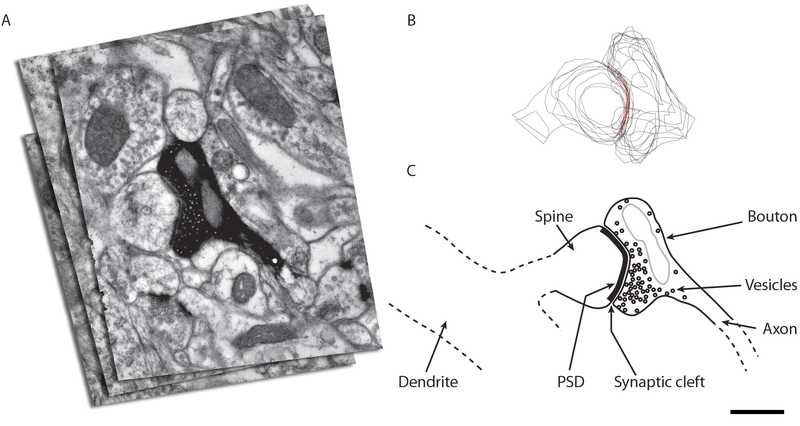 Light microscopy - Electron microscopy comparison of synapses identification3D reconstruction of a cortical neuron at light and electron microscopy and comparison between both techniques to evaluate LM precision.